1990s: Go to Havana and feel the heady sweat of the streets and the vibes at a time when the Cold War feelings were at their peak. This is the story of Cuba during the Reagan era and the days of the Cold War. 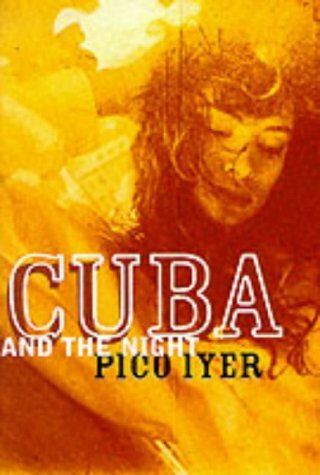 A journalist travels the world in search of a good story and ends up in Cuba where he meets a Cuban girl…. A mix of travel writing with a romantic story woven into the mix. The real gem is that of the descriptions of the places and buzz of Havana though and is where the book really stands out. Not just the setting but the sights and sounds of the island of Cuba are evoked on each and every page. You’ll see the sand slide out from the pages in a gritty cascade, feel the sting of Cuban rum on your tongue and hear the rumba of the music in the club next door with the flaking paint. The romance is one part of the novel which together tells the story of Cuba itself and of the social and political changes of the day and those which still exist now. The author has in fact written a love affair both in and with Havana itself. The booktrail illustrates a few places to explore via the book – Cuba through a very unique pair of eyes.